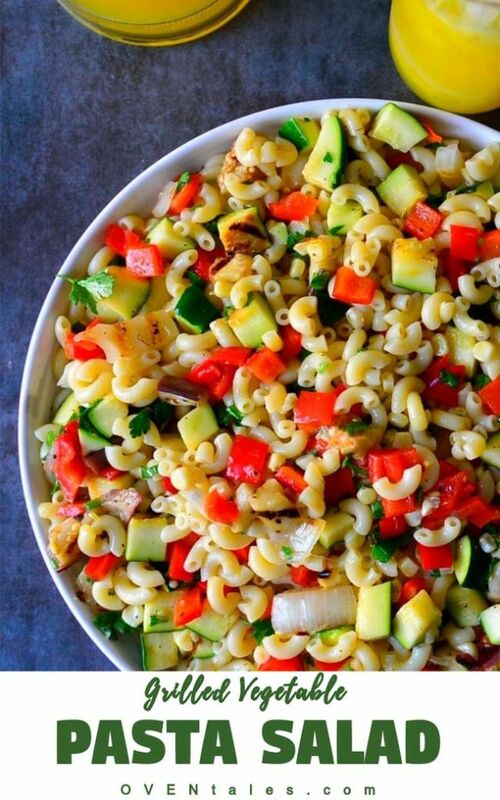 Pasta salad makes the perfect summer side dish. This is a light dish that can be made fresh grilled vegetables or the ones left over from the last batch on the grill. 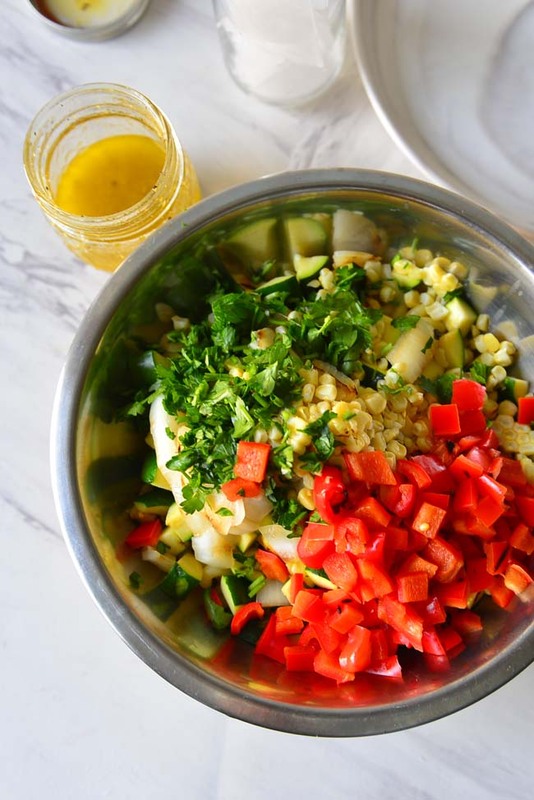 Toss with a light vinaigrette of lemon and seasonings and you are good to go ! Using grilled vegetables and non dairy dressing means means that the salad keeps well in the lunch box or picnic basket for a few hours. In fact we end up making this into a meal at least once a week in summer months. Reason , I invariably throw in more veggies on the grill than we end up eating. My family suspects that I do it intentionally , but it is still up for debate 😉 . Look at that zucchini ! Really , can you blame if I go overboard ? This is going to be my last post for #cookoutweek this year . I thought it fitting to end the week with a dish that can take use the leftovers. 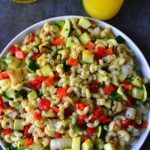 There are a few different pasta salads I love – tuna and tarragon is one , this grilled vegetable one is another. Both are delicious in its own way. 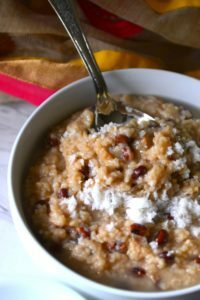 This is one very simple recipe. As I mentioned above the vinaigrette is made with fresh squeezed lemon juice ,olive oil and a touch of seasonings. I can make the vinaigrette , pasta and the vegetables , individually pack and leave these in the fridge. The kids can toss the salad together as they need it, making it a healthy snack/meal. Even after mixing together the salad hold together well for a day or so. The other thing I love is that it is a vegan pasta salad. That was not intentional. Often times leftover grilled chicken and chunks of cheese find its way into it too. But when I make it , it is always vegan as then I can be pretty confident that nothing is going to spoil in a few hours. In summer months we are having a lot of fun busy and there are times when we forget to store things in the fridge ! So get set grilling and dont worry about going over board . There is always something to make with the leftovers. 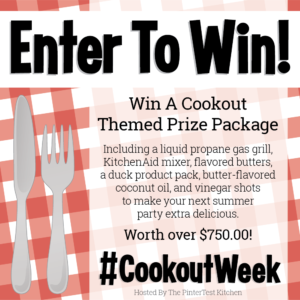 In fact you will find many inspirations from all the other cookout week recipes here. Scroll down and check these out as well. and while you are at it , the raffle is still open click on the image and scroll down to enter ! Slice yellow squash or zucchini in half inch thick strips . Cut red bell pepper into about 3 inch wide strips. Slice the onions cross wise into ½ inch thick rounds. 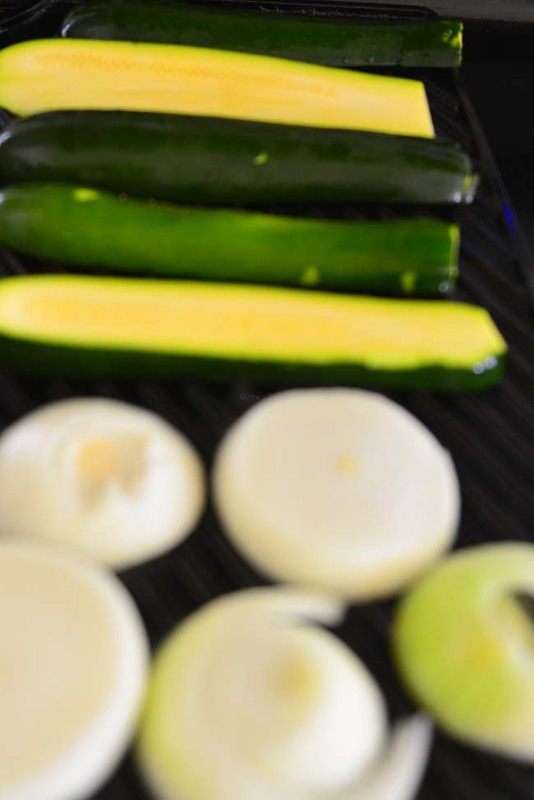 Lightly brush the grill with oil and grill the vegetables in batches over medium high heat. Cook on one side until the charred grill marks appear , turn and cook on the other side. Cook the pasta according to the package directions in plenty salted water till al dente. Drain and rinse with cold water . Toss with 1 tsp of olive oil and set aside. Take a small glass or other non reactive bottle with tight fitting lid. Add the oil , lemon juice, salt and black pepper together. Close with the lid and shake well. Taste and adjust with sugar. Add the capers and shake vigorously At this time you can refrigerate all components individually for 2 to 3 days . 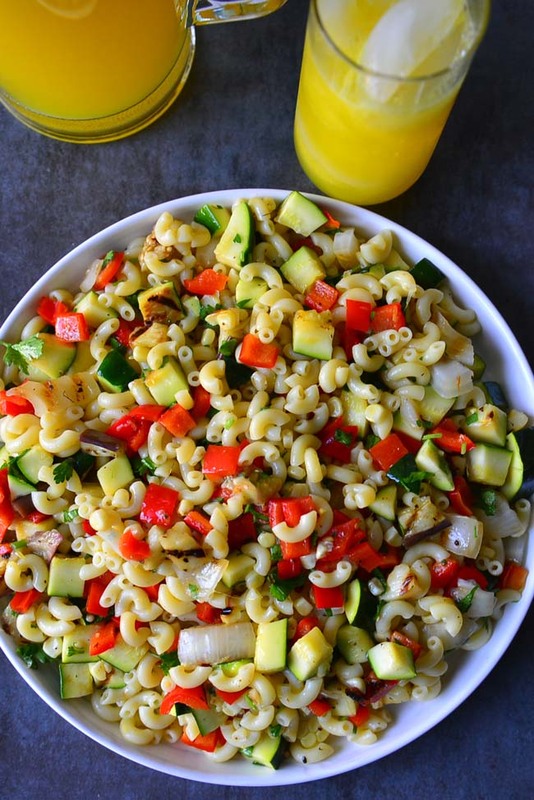 In a bowl toss the pasta and vegetables together. Sprinkle the parsley on top. Pour the vinaigrette evenly on top and toss again . Taste and adjust salt and pepper if needed. 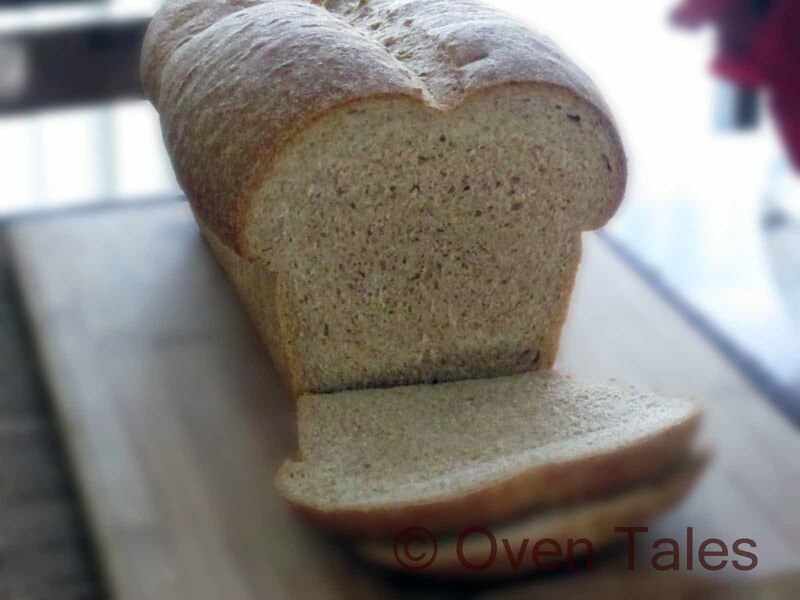 Refrigerate the left overs and use within a day . I prefer to grill the vegetables over the grill pan at medium high heat. Use leftover grilled vegetables to make this salad. Other vegetables to use are - egg plant , asparagus and mushrooms. For an interesting add finely chopped pickled beet into the vinaigrette instead of capers. Always happy to get leftover ideas and yes, I have been known to plan leftovers and intentionally make more than I need. I love how colorful this salad is, and yay for leftover ideas! I hate having food wasted!